(28.5 cm), 103 (3) pp.,  leaves of plates. 349 lots. Publisher’s printed wrappers. - The earlier books in the library of the French historian Emmanuel Rodocanachi (1859-1934), member of the Académie Française. 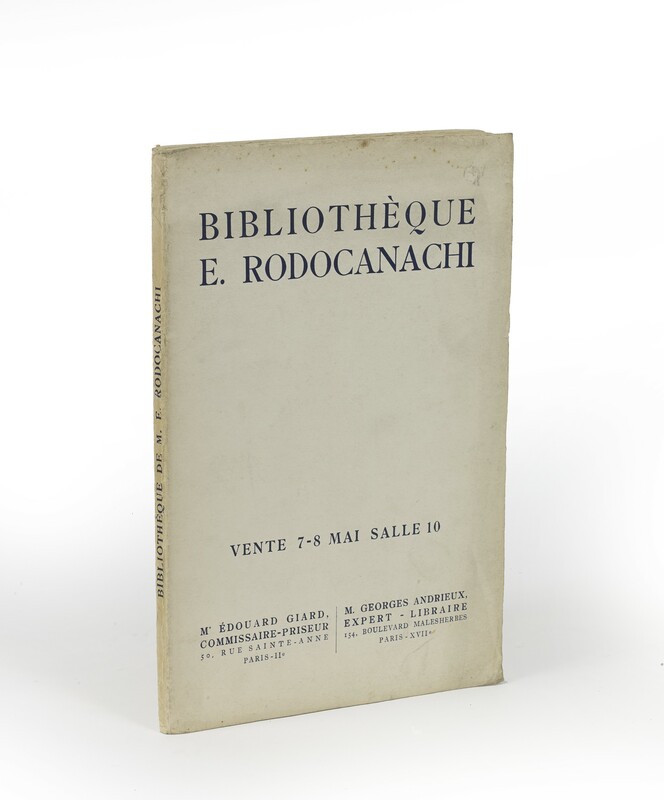 The remainder of his library was bundled as 600 lots, and sold by the same commissaire-priseur, a month later (Bibliothèque de feu M. Emmanuel Rodocanachi, membre de l’Institut: Deuxième vente: Livres anciens, romantiques et modernes… Beaux-Arts, Hôtel Drouot, 7-8 June 1934). 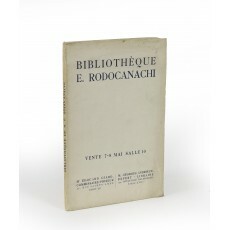 ¶ Unmarked copy, partly unopened.